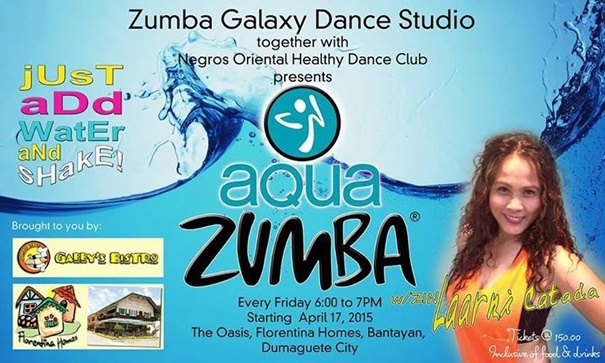 Zumba Galaxy Dance Studio together with Negros Oriental Healthy Dance Club presents AQUA Zumba with Zin Laarni Catada! A first of it’s kind in Dumaguete City, combines the fun and excitement of zumba with water to cool you off from the summer heat! This fun new way to burn your calories and have some summer fun can only be found in the OASIS Swimming Pool of Florentina Homes, Bantayan, Dumaguete City. Tickets are 150 pesos, Inclusive of food and drinks.